Sari Abboud is a Lebanese-American Senior from London, United Kingdom double majoring in Italian Studies and International Relations with a focus in the Middle East. Sari was previously the co-president of the Arab Students Association (ASA) and is a co-leader of the New Initiative For Middle East Peace (NIMEP). In the past two years, Sari has held various positions in the ASA as well as Theta Chi Fraternity. He recently worked at State Street Corporation doing paralegal work involving translating contracts from Italian to English. Sari is fluent in Arabic, Italian, and Spanish. Furthermore, he has traveled extensively throughout Europe and the Middle East to places such as Lebanon, Kuwait, Italy, Norway and Morocco. His email is Sari.El-Abboud@tufts.edu. Phil Hoffman is a Junior from Mountain Lakes, New Jersey double-majoring in Middle Eastern Studies and Arabic. This is his third year of involvement in NIMEP, where he now serves as the group's co-leader and organizer for NIMEP's upcoming winter research trip to Turkey. He was previously an executive board member of the Alliance Linking Leaders in Education and the Services (ALLIES), a group that serves to promote greater understanding between civilian undergraduates and military cadets. He recently helped to organize a civil-society conference in Tunisia for the American Islamic Congress, a non-profit group that promotes civil-society reform in the Middle East, and is also proficient in French. He can be reached at Philip.Hoffman@tufts.edu. 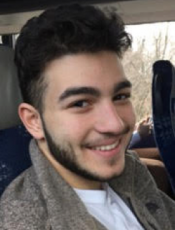 Stephanos Karavas is a Senior at Tufts who is majoring in History with a concentration in the Middle East and minoring in Political Science with a concentration in Foreign Policy Analysis. Having traveled extensively throughout Greece and the Middle East, Stephanos has a deep interest in the affairs of the Mediterranean world and broadened his experience by co-leading NIMEP's 2012 fact-finding mission to Tunisia and researching constitutional reform. Stephanos participated in NIMEP's 2010 fact-finding mission to Kuwait and the UAE where he investigated the subject of women's political rights in Kuwait. In addition, he has moderated weekly dialogues for NIMEP in past semesters as well. Apart from his studies at Tufts and his involvement in NIMEP, Stephanos enjoys exploring the Middle East through other dimensions in addition to research, such as popular culture, cinema, music and through playing the Oud. His main area of interest in the Middle East includes the rise of Turkey, its effects on the balance of power in the Eastern Mediterranean and its regional implications on a wider level. He is fluent in English, Modern Greek, Spanish and is currently learning Arabic. He can be reached at Stephanos.Karavas@tufts.edu. 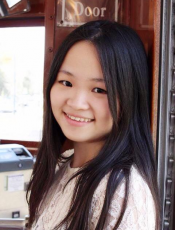 Jenny Fang is a senior at Tufts studying International Relations. She has been involved in NIMEP for the past three years and is constantly fascinated by the culture, history, and political changes in the MENA region. When she is not studying the Middle East, Jenny enjoys spending time in a ballroom studio dancing. Nesi Altaras is a member of the Class of 2019 from Istanbul, Turkey. He is majoring in International Relations and Economics and he is interested in the Middle East and behavioral economics more specifically. Born and raised in Istanbul, Nesi is a member of the small Sephardic Jewish community of Turkey and one of very few Sephardic Jews at Tufts. He is very passionate about politics and is involved with Tufts Democrats, NIMEP, the International community and serves on the TCU Senate. He speaks Turkish and English, some Spanish, and is studying Arabic at Tufts. 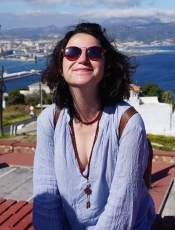 Nesi enjoys reading in Turkish and English, as well as writing short stories and poems primarily in Turkish. He spends time watching numerous television shows and movies, and reading. He enjoys listening to Turkish pop music and classic jazz. 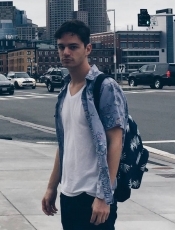 An avid traveler, he is trying to see as much of the US during his four years at Tufts. Mia is a junior at Tufts University from Montclair, NJ. She is majoring in quantitative economics and math with a minor in Arabic. She's interested in pursuing a career in economic development. She's interned for the Humane Society of the United States working as an activist and lobbyist and the United States Public Interest Research Group as a member of their transportation campaign, and the Mo Dewji Foundation in Tanzania. 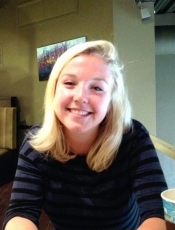 Kate Hirsch is a Senior majoring in International Relations with a focus in International Security. She has taken both Arabic and Chinese throughout Tufts, and is interested in policy in both the MENA region and East Asia. This past semester, she conducted independent research on social movements through the School of International Training in Rabat, Morocco. She is extremely excited to continue this research in North Africa. 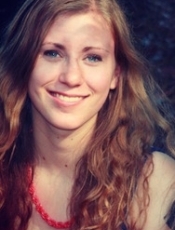 Kristina (A17) is majoring in Environmental Studies and Peace & Justice Studies, concentrating US-MENA policy and the intersection of concepts of justice and security in international relations. She’s thrilled to have the opportunity to join NIMEP as Events Coordinator, and to travel to Tunis with NIMEP in order to research Tunisian perspectives on US posturing and policy in the region. Currently, Kristina is interning for The Nakba Museum Project as it evolves into The Museum of Palestinian People. On campus, she works in the UEP department as a research assistant, writes and serves as Press Director for Melisma Magazine, Tufts’ music journal, and enjoys fumbling with her guitar and running. 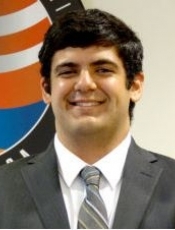 My name is Peter Sahagian and I am a senior at Tufts studying International Relations. I am from Lynnfield, Massachusetts where I went to school and later attended St. John’s Prep in Danvers. I am an active member of my church, the Armenian Church at Hye Pointe in Haverhill and its youth group. At Tufts I have focused my studies on the Middle East and have studied abroad in Jordan while learning Arabic. I have not conducted any field research of this kind before and so I am looking forward to this trip. Ethan is a sophomore at Tufts from Wenham, MA. He is studying Clinical Psychology and Spanish. He is interested in a career in mental health care, specifically in the interactions between mental health and culture. He is currently a research assistant in the Shin Posttraumatic Stress Disorder Neuroimaging laboratory at Tufts.